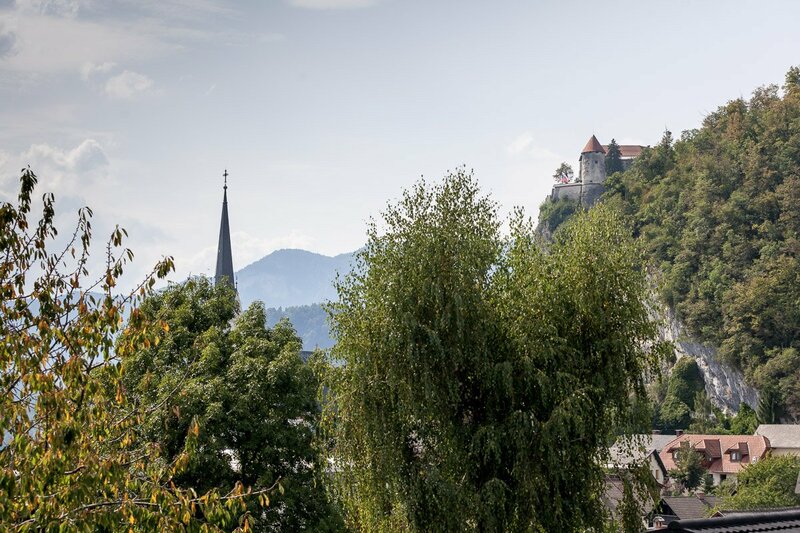 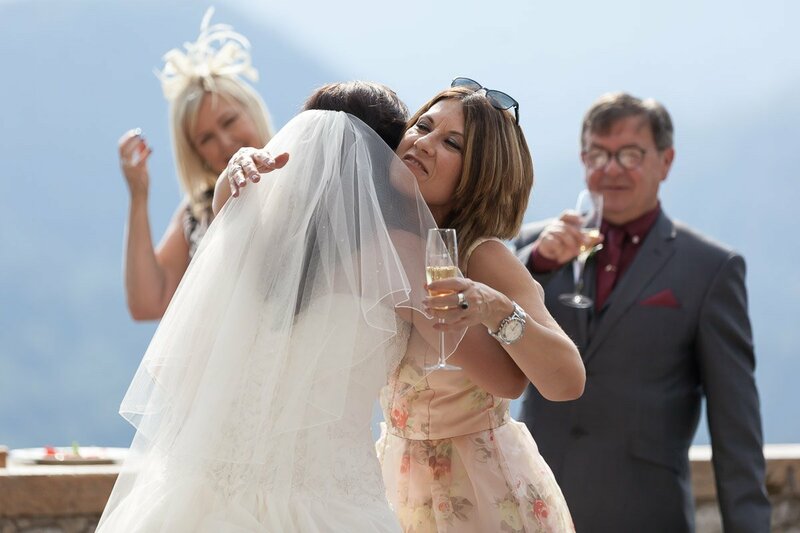 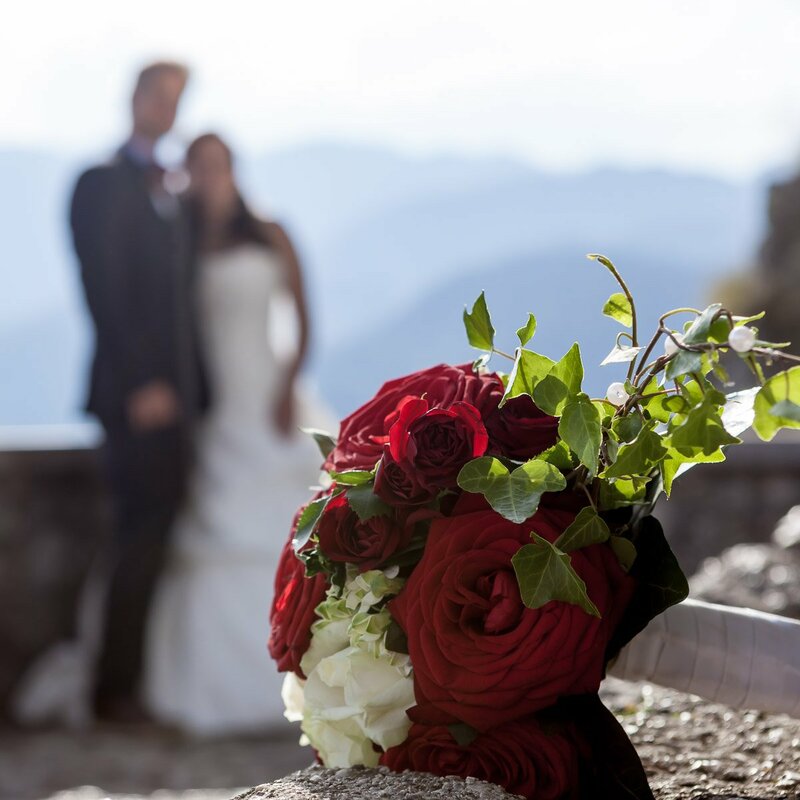 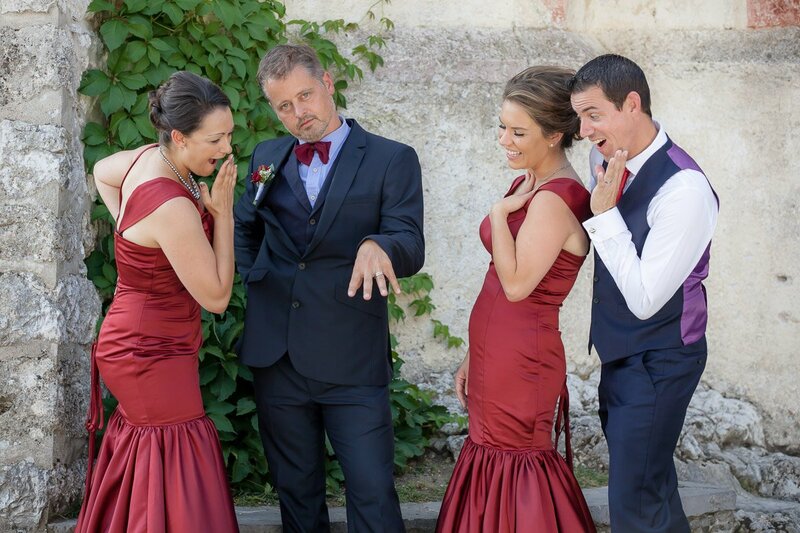 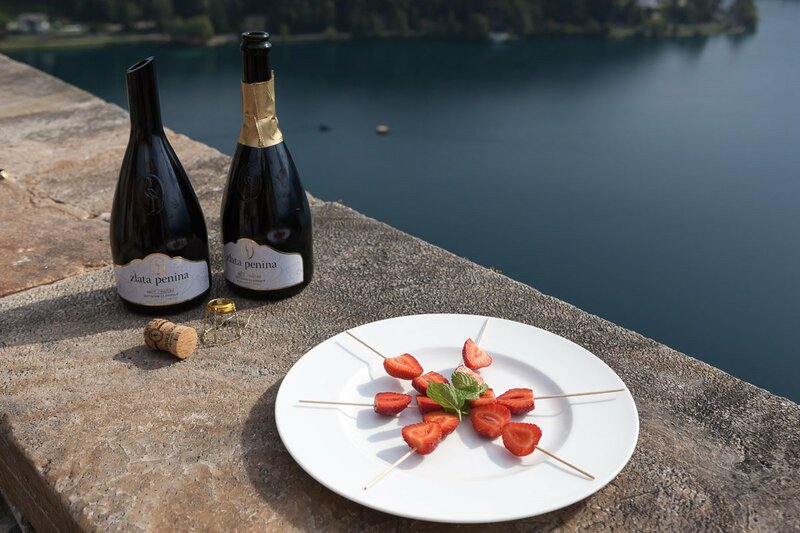 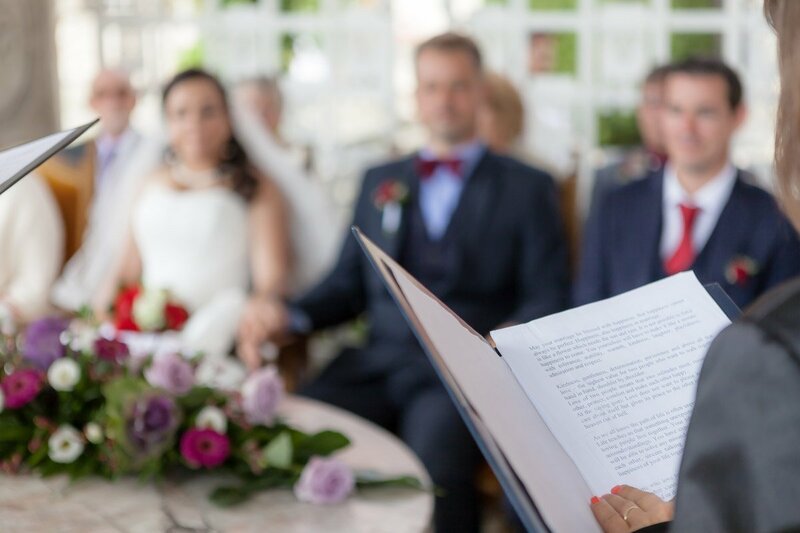 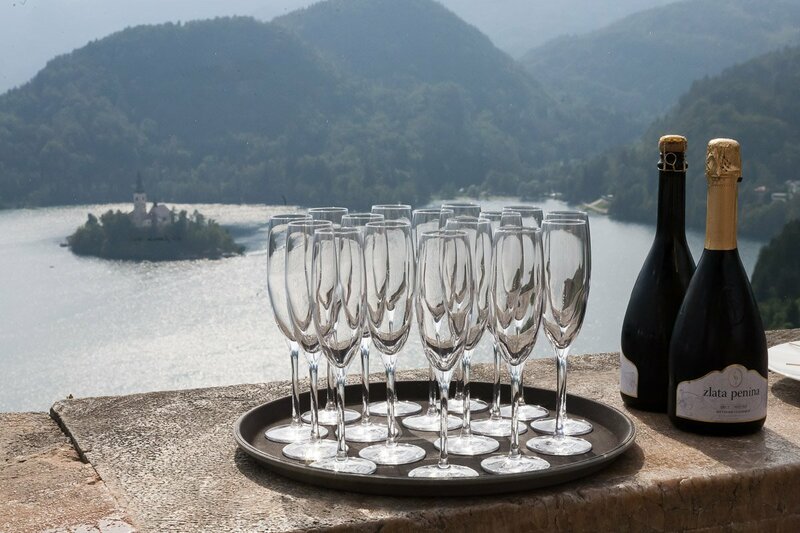 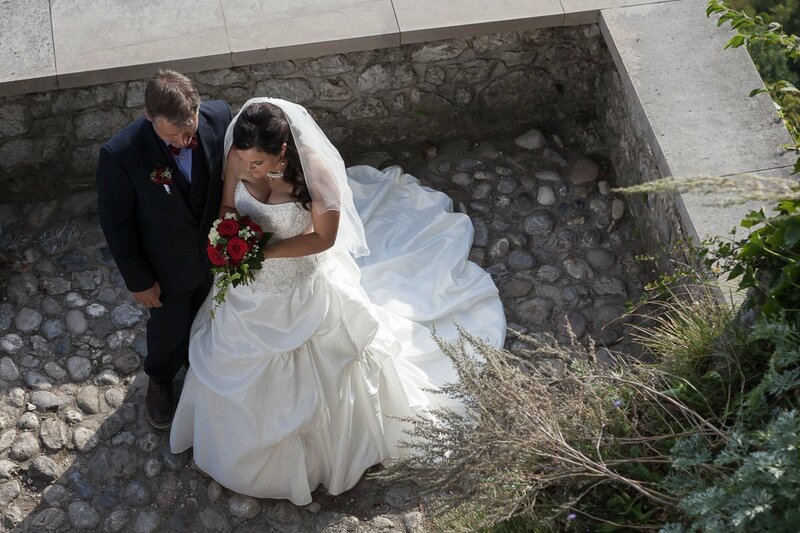 A nice couple from the UK decided to have their civil wedding ceremony at Bled Castle. 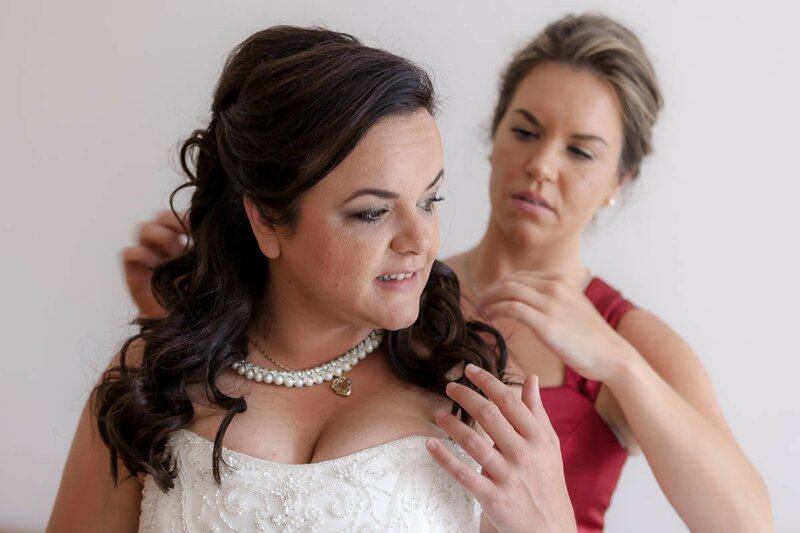 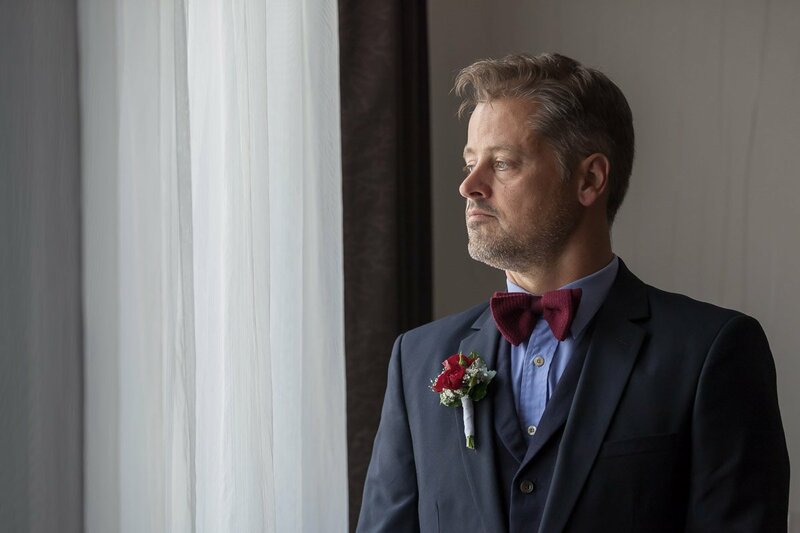 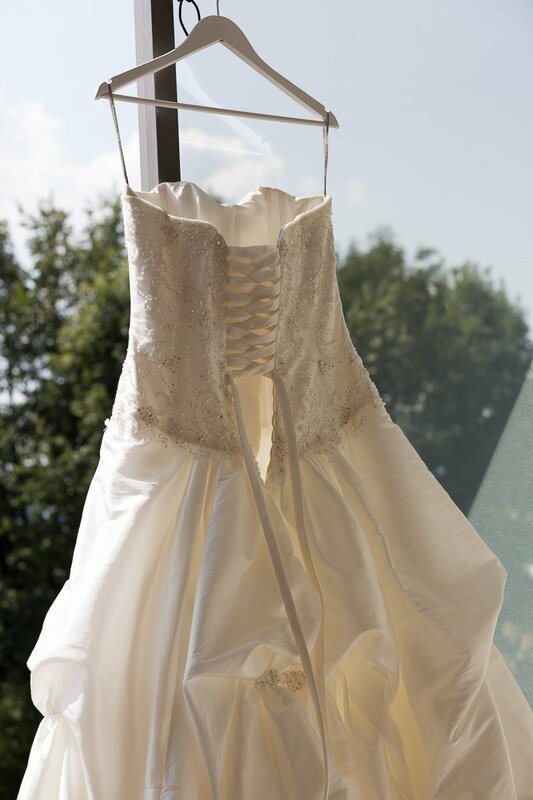 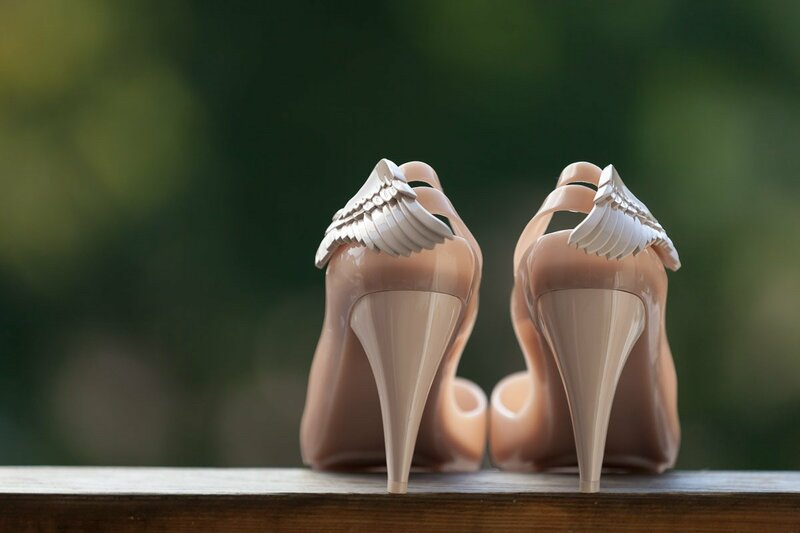 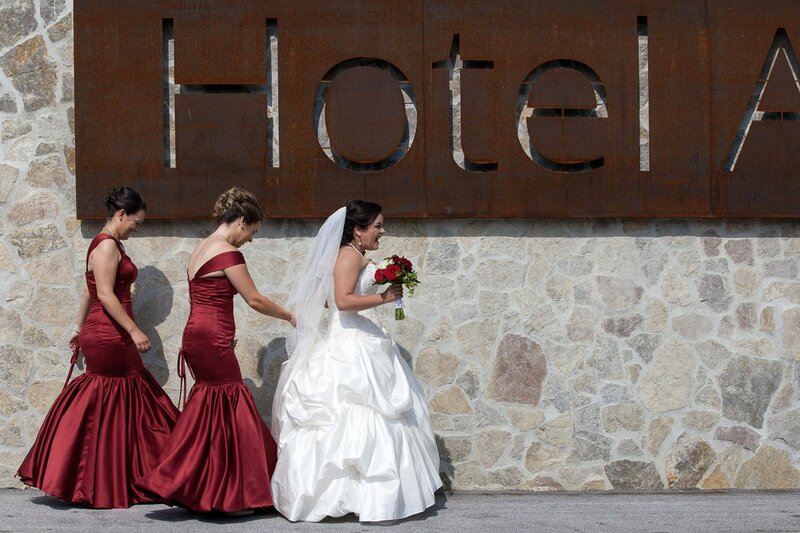 The wedding preparations were done in recently renovated hotel Astoria located close to the Castle. 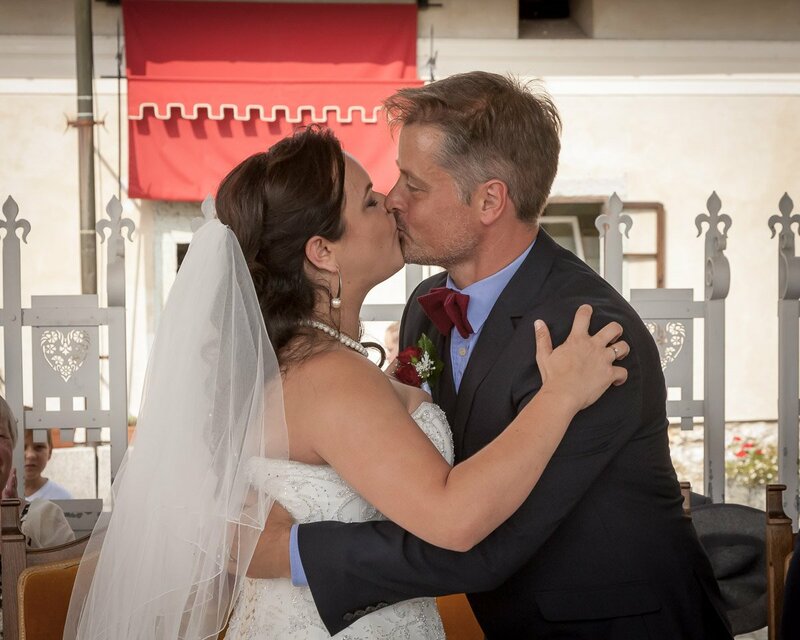 The bride and the groom were transferred to Bled Castle in a traditional horse driven carriage. 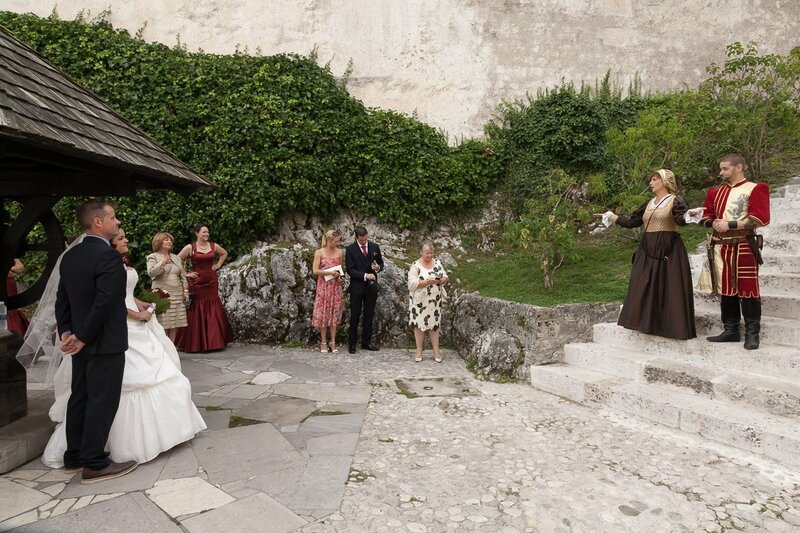 They were greeted by the Lord of the Castle and accompanied to the castle courtyard where the civil wedding took place. 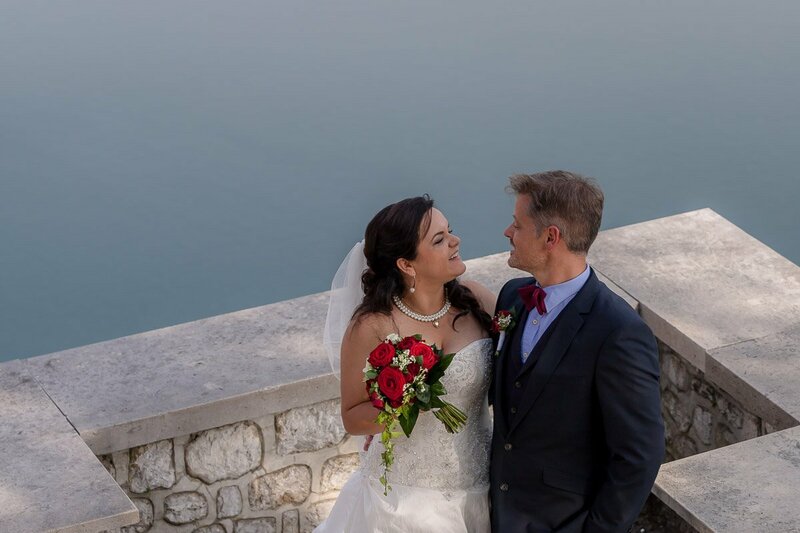 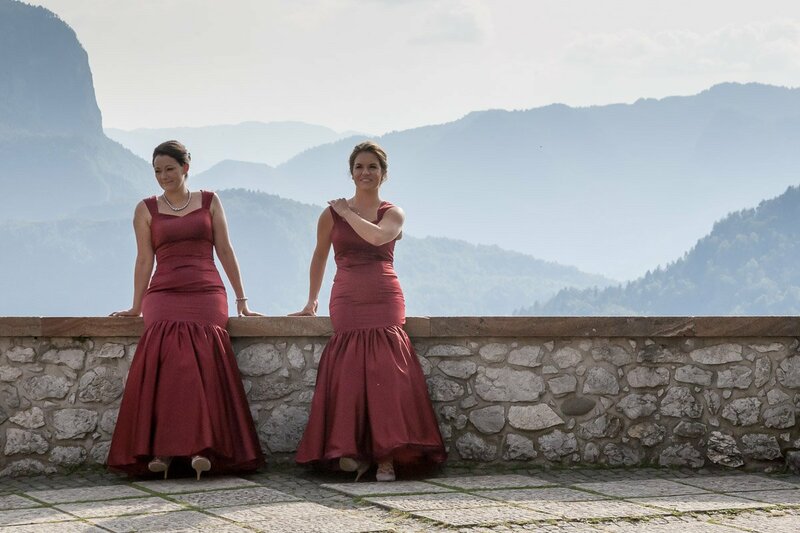 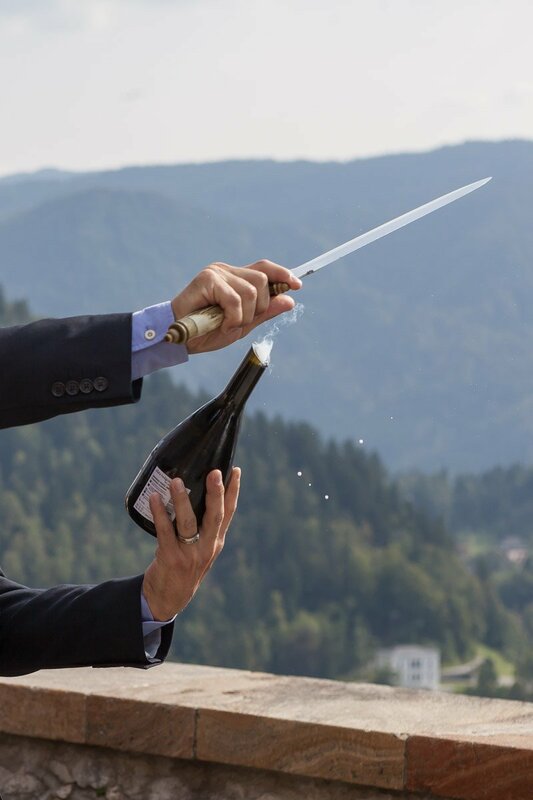 After the wedding ceremony, they had the photo shooting at Bled castle, which offers great views over the lake and is a perfect backdrop for wedding photos.